Michael Irwin's 1989 ERA at the University of Portland was low. The 1.91 mark came in as the lowest ERA on his team and is still the seventh lowest ERA in school history, according to the Portland media guide. His 27 appearances the next season still rank ninth all-time at the school. Irwin took his pitching from Portland to the pros. His pro career, though, was brief. He saw a single season, 22 outings. 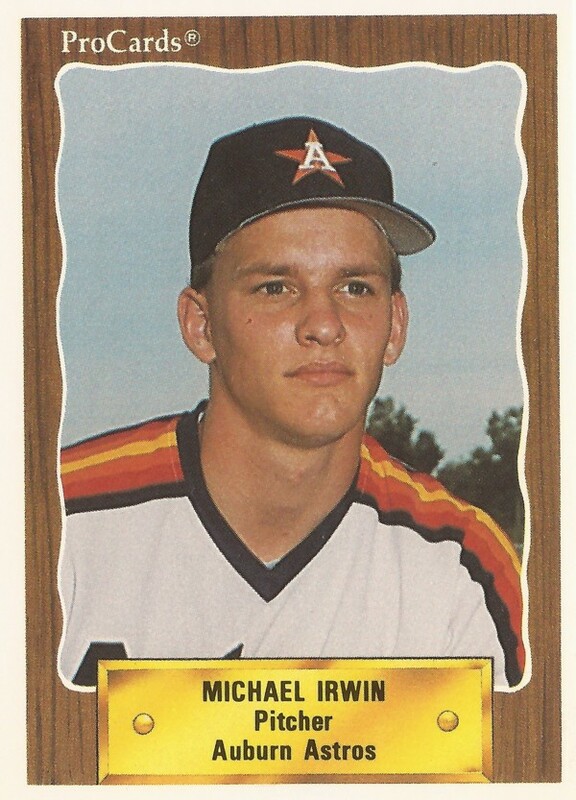 Irwin's career began and ended that year, taken by the Astros in the 31st round of the draft out of Portland. Irwin is sometimes credited as Mickey Irwin or Mick Irwin. At Portland, Irwin also used his bat. He knocked a ninth-inning single, unsuccessfully trying to kick off a ninth-inning rally in a May 1987 game. He also had an RBI single in a March 1988 game. With the Astros, Irwin played the year at short-season Auburn. He got into 22 games, one start as a pitcher. He picked up one win to six losses. He also gave up 42 earned runs over 44.2 innings of work for an 8.46 ERA. He didn't return for a second season.